If you’re planning to visit Bali in the near future, you best prepare yourself for a memorable adventure! The first thing you are going to need is accomodation so book yourself a villa here. You’ll find everything from soaring volcanoes, to long sandy beaches, great surfing and even majestic waterfalls in this little slice of paradise. Bali is the perfect holiday spot to kick back, collect stories and make some memories that will last a lifetime. On the topic of making memories, tattoos parlours are a dime a dozen on the island, so you need to be wise when you choose an artist. So, to make sure you don’t come home with a lousy palm tree or a crooked heart we’ve done the research for you. 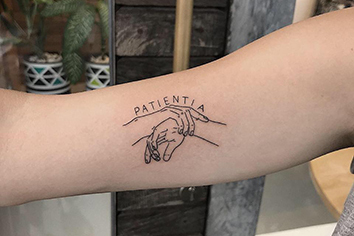 Read on to discover the five best tattoo shops in Bali. Choose one of these studios to avoid the hacks and ensure you end up memorialising your Bali adventure with ink as majestic and beautiful as the island itself. 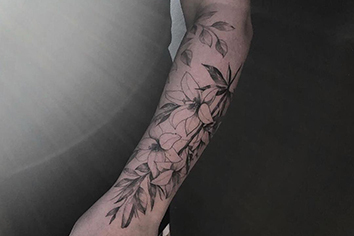 Have you ever heard of Vegan tattoos? Artful ink Bali is the first stop on our list of recommendations. You’ll find this gem of a studio located on Jalan Petitenget in Seminyak, across from the Neo hotel. 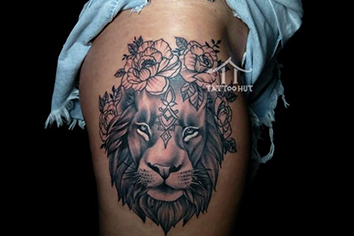 Artful ink Bali exudes a very positive and friendly atmosphere. The space has beautiful artwork, and good energy flows from the approachable resident tattoo artists. 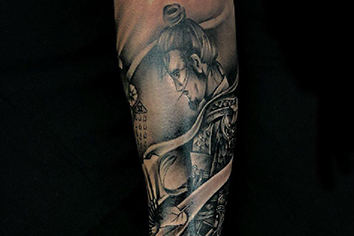 Amongst them, you will find Artem, Alex and Denis, who offer a variety of tattoo styles, ranging from realism to more dark and gothic pieces. To see their work follow them on IG @artfulinkbali or visit their Facebook page. All the equipment is 100% sterile, individually packaged, used only once and then properly disposed of. Artful Ink uses only the best products including Alla Prima Ink, from California, which is vegan-friendly, never tested on animals and contains no animal products. When you’re done in the chair, it’s time for some pampering. An aftercare package will be provided, to you. This includes Dettol soap, tattoo cream and aftercare instructions on how to take care of your tattoo. Located on Jl. Raya Semat, in Canggu, you’ll find Charlie Rose, a high-end, quality tattoo studio. Kim Angel and his wife Yulia invite you to become a part of their family in this beautiful modern studio which was named after their gorgeous daughter. 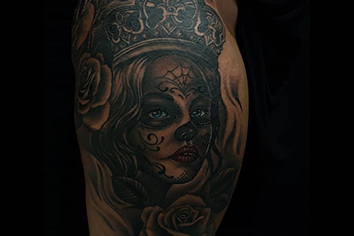 Kim Angel is an acclaimed artist with many years tattooing in Sydney, and he seeks out only the best international artists to join him on the floor. Amongst them are Marco Milani and Valentina Rouz whose work speaks for itself. Hit up their Instagram account@CharlieRoseTattoo_Bali to see the standard of their work. It’ll have you on the phone making a booking. 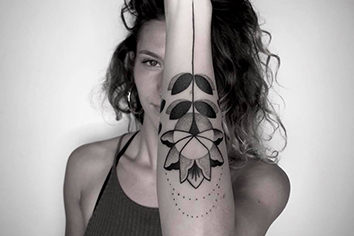 Quality is one thing but the atmosphere of a studio really matters too, Elle and the team at Charlie Rose aim to give you an experience of not only getting a tattoo but becoming part of this beautiful crew of family and friends who are united by ink. In downtown Kuta on Jalan Benesari, next door to Stakz Restaurant, you find Tattoo Hut Bali. It’s an Aussie-run studio which has been operating since 2014, with renowned and award-winning resident artist Jony. 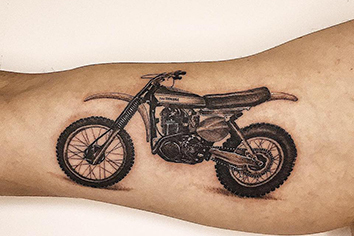 This studio has planted itself firmly on the map and, offers a wide range of tattoo artistry. Check out their IG @tattoo_hut. or Facebook page to see more. Operating with international standards, they take pride in using the best equipment and importing all of their organic and toxin free ink from the US. The pricing is quoted by piece, not by the hour, so you’ll know the full price before you sit down. All the better to stay within your budget and get more tattoos! As oldtimers on the island of Bali, these twin studios have a range of full-time professional artists. With more than 50 years of experience combined, these guys know what they are doing. Each studio adheres to Australian medical standards for sterilisation and hygiene to ensure your health and safety. When you visit “Get inked at Bali ink” you can choose studios one or two, on either Jl. Kartika Plaza 21, or in the Badung regency in Kuta. The second location arose because in 2008 their first studio was overflowing with new and repeat customers, so they duplicated themselves to keep up with the demand. If that’s not a statement of high-quality work, we don’t know what is! 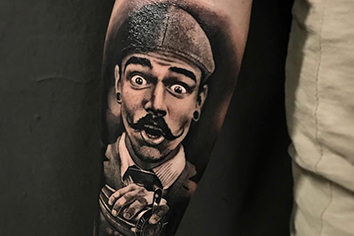 Go and vist their IG page @getinkedatbaliink or see their Facebook page for more examples of their work. 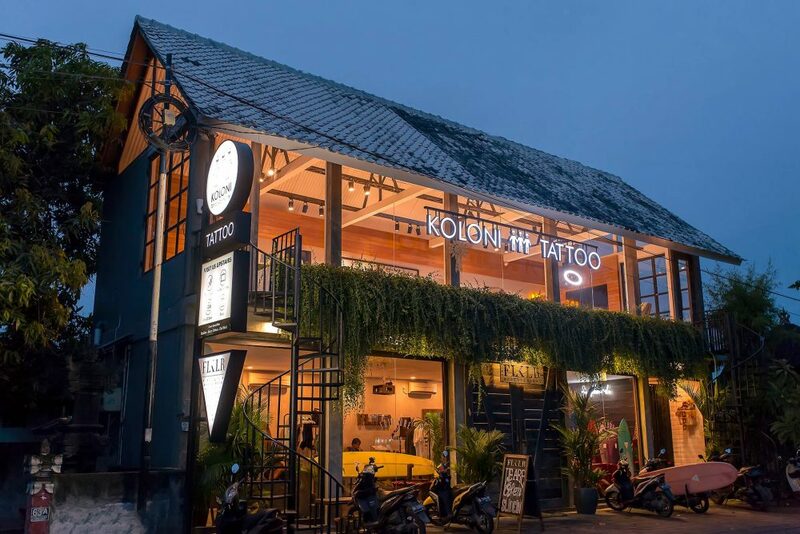 Koloni Tattoo is on Batu Bolong, in Canggu. Walk up the stairs, push open the bright wooden door and you’ll be met with a highly modern, clean, cool and inviting atmosphere. The open space is flooded with natural daylight which makes it easy for the artists to do great work and comfortable for both short and long sessions. 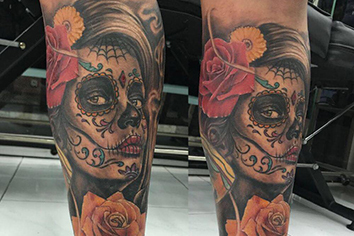 Whether you’re looking for a full sleeve or something smaller, resident artist Ipin has got you covered. 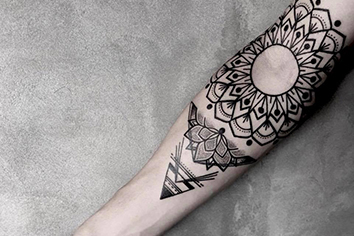 Styles variate from popular mandala and line work to new micro realism. Follow them IG to see more @kolonitattoo. Tattooing a Nelson Mandela face on your finger might be difficult, but at Koloni, they make it look easy while following the strictest European standards of sterilisation and hygiene, so you feel safe throughout the entire process. In Bali, anything can happen, whether it’s tattoos or unexpected adventures so follow our advice and choose the right place to make those permanent memories! More importantly, make sure you select an excellent villa to stay in while you’re here. We’ve got a wide range of luxury villas so check out our website here and book yourself a prime spot for your next Bali adventure.